The ultimate Wonder Woman wig exclusive to Star Style Wigs boasts layers of luscious, tumbling curls falling past the shoulders. The deep side part is hand sewn and concealed for a seamless finish. The parting line graduates into a voluminous crown for a seductive, retro look. 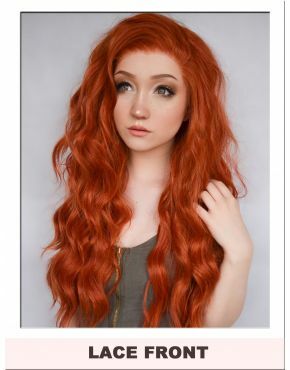 The edge of the wig is expertly masked with 1.5 inches of thick hair giving you all the benefits of a lace front wig without the higher price tag. The Wonder Woman inspired Comic Book Hero Wig comes boxed with presentation packaging, wig cap and speciality wig comb.